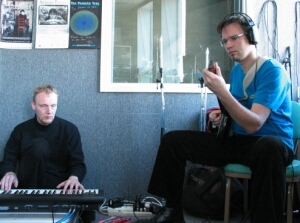 On December 2, 2004, centrozoon played at WDIY in the production studio. 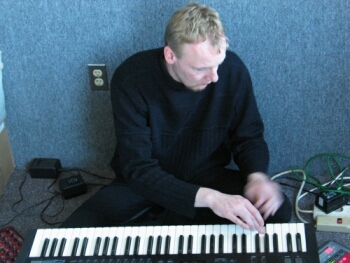 The session was recorded and played on the December 2, 2004 broadcast of Galactic Travels (under its original name). 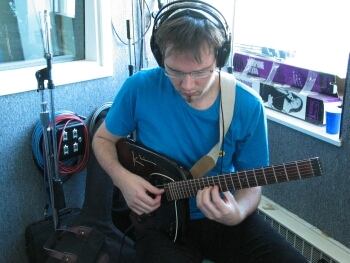 centrozoon in WDIY's production studio. Photo �2004 Bill Fox Markus Reuter and Bernhard W�stheinrich from Germany are two of the members of centrozoon who came to America. 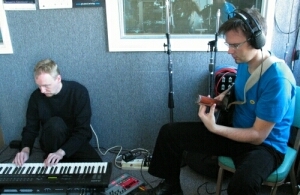 centrozoon play live, improvised electronic music. One of the tracks they recorded is available at the centrozoon web site as a free download.